I started by signing up to a gym, and like most I lasted a couple of months then I lost interest, motivation, and general enthusiasm. Lets face it gyms are kinda of boring, treadmills going nowhere, the awful ‘duff duff’ music in the back ground, the slightly intimidating guys on the free weights.
" I have also dropped two dress sizes, improved by 5k run time by almost 10 minutes." Its a cold and rainy night in the middle of November and I’m out running around Howden Park. Why, you might ask? Well, let’s go back a year to when I decided it would be a great idea to climb to Everest Base Camp on behalf of Epilepsy Scotland. I signed up and made the commitment and I thought I’ll worry about the fitness later how hard can it be??? My passion to raise funds for a cause close to my heart came first. Epilepsy affects a close family member and is a constant worry and struggle for the full family.To show support and to highlight the condition I thought go big or go home, Everest it is and nothing is going to stop me. So train I must! I still have a few months I thought no worries, then a few months later I thought the same then I started to panic, doubt myself, should I cancel? I spoke to a friend who suggested Burn It, outside fitness I though why not it’s summer, what choice do I have, lets give it a go. So here I am now running around in the cold and you asked me why. 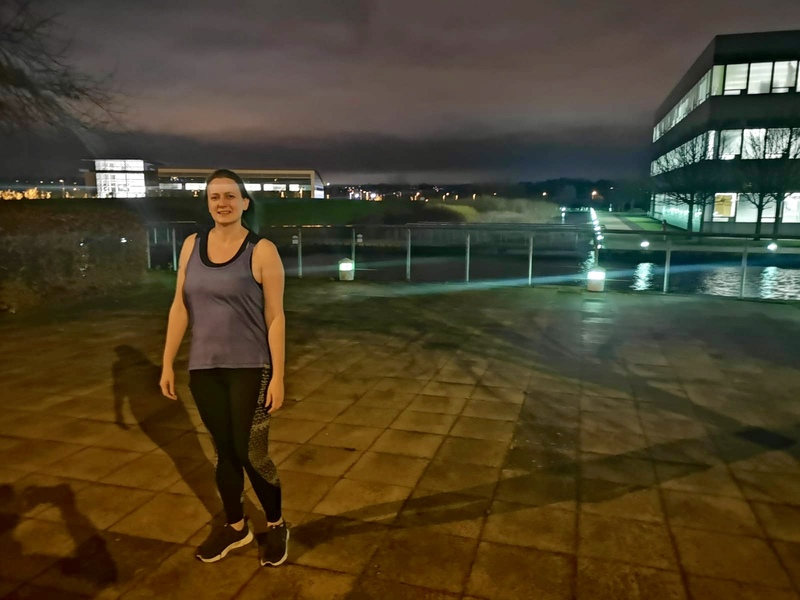 Well apart from the mammoth task I have set myself I have also dropped two dress sizes, improved by 5k run time by almost 10 minutes, I am fitter now than I was at the age of 16 and I feel amazing. But most of all when I look in the mirror I see me, the me I thought I had lost in self doubt and lower self confidence, the me I look at now radiates and tells me you’ve got this, go ahead and climb to the top of the world.